Having a round, simple and playful form, Milk table lamp (Ã˜ 20 x H 25 cm) definitely is an eye-catcher! 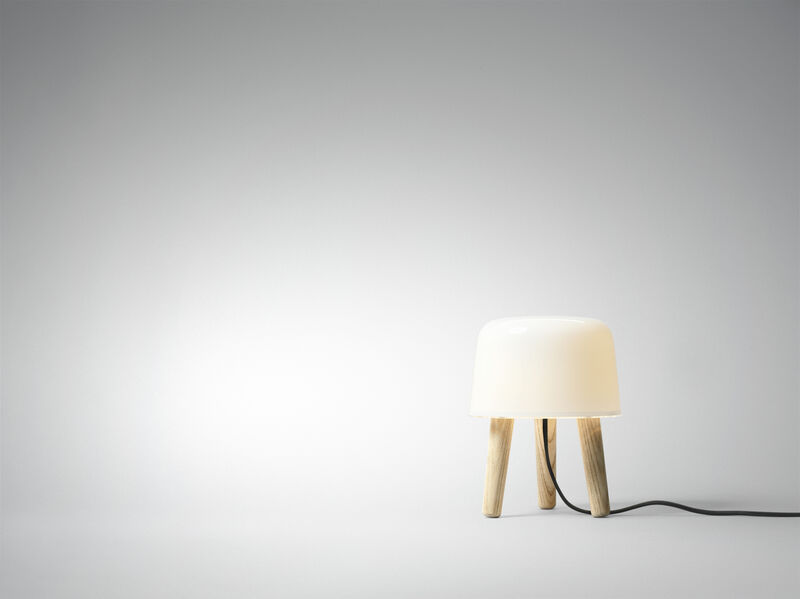 Designers from Danish studio Norm Architects were inspired by the traditional stools used for milking cows in barns. 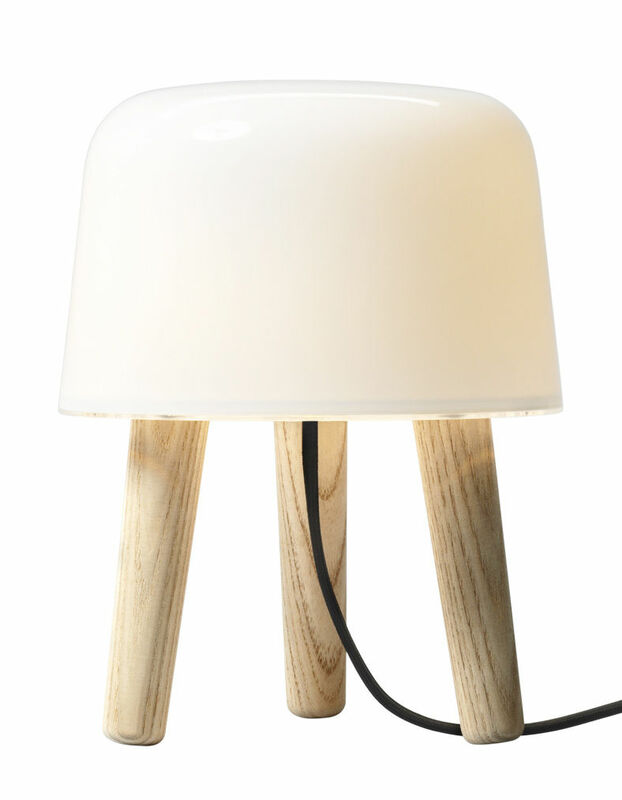 Milk table lamp combines glass and natural wood and displays a clear, simple design of the purest Scandinavian tradition. It features three massive wooden legs. The lampshade is made of mouth-blown glass, and is a fruit of outstanding handicraft work. The cable is coated in clack fabric, which looks very elegant. 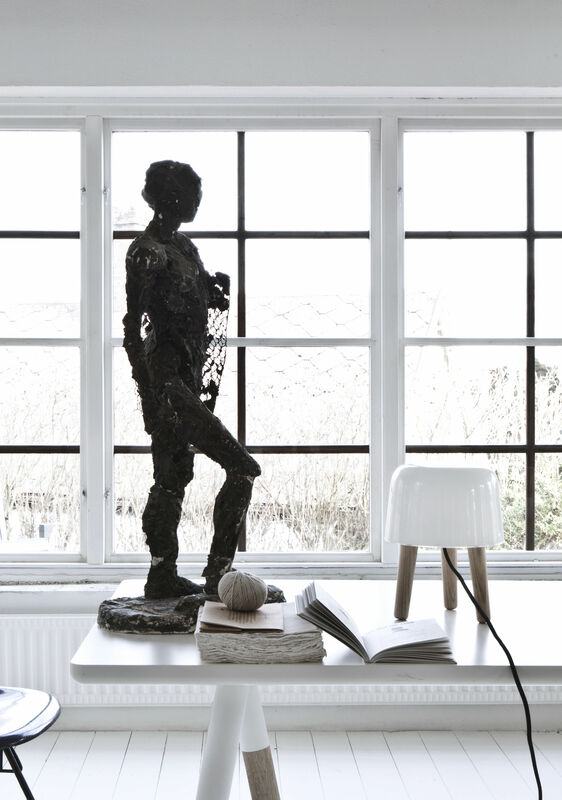 This small lamp provides soft, diffused light and creates a calm, cosy atmosphere.